and assurances that I have received in my life." I am now offering online Inner Trance-Formation sessions! Please get in touch if you would like more information! Let yourself be guided down to the deep, sacred inner levels where you can experience a profound transformational journey perfectly attuned to your own unique needs. In this expanded state of consciousness visions and impressions unfold in the mind’s eye, revealing deep truths and personal insights that can assist us to better understand ourselves and our current life path. This state provides us with direct access to our deep knowing and reveals wisdom and solutions that bring more soul alignment to our life. As well, blocks and perspectives that hinder our growth and impede our flow, will surface in this state so that they can be healed and released. 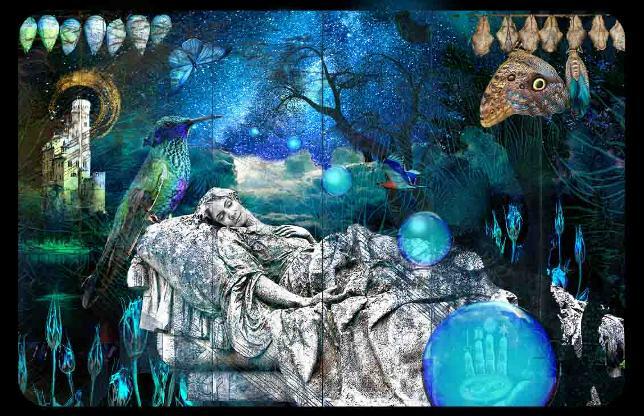 Though you will be accessing unconscious information you will be fully conscious of what you are experiencing, in fact many describe this state as super-conscious. The beauty of this modality is that is highly personal and internally driven. 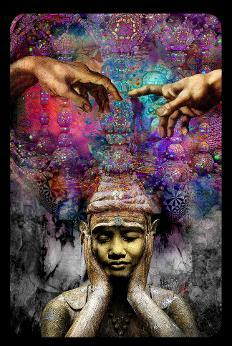 Once I guide you gently into this mysterious space of deep knowing, I step back and allow you to lead the way. Throughout the entire journey my voice follows you, ensuring that you are fully supported. I ask questions that assist you to see alternative perspectives and uncover new understanding, but I will never push you or try to shape your experience. I believe you are the expert on you! 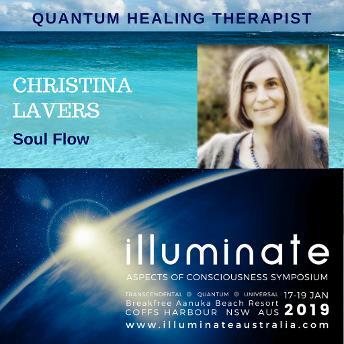 What I love about this healing modality is that it allows such deep and direct connection to our inner knowing that healing outcomes, that could otherwise take months or even years to uncover, can be accessed in one powerful session. Each journey is completely unique. Some people’s journeys are highly metaphorical. In this type of session stories and symbols will manifest in the clients awareness. These stories and symbols will be loaded with keys that provide deep personal insight and understanding. Some people will experience significant slices of past, future, or parallel lives that assist them to understand current life patterns and blocks. Some people will experience aspects of their wider galactic story that assists them to access celestial gifts and attune to their highest expression of being. Often sessions will combine aspects of all the above. What are some reasons people seek these session? • Uncover or gain deeper insight into the energetic root cause of specific health challenges and work towards resolving them. • Spiritual Origins and Goals- What is your galactic history, what is your star ancestry, what other incarnations have you experienced and how are they affecting the spiritual path you are on now? How often do people have sessions? Some people will find one session is all they need to bring more alignment to their life. Others may find this deep exploration so valuable that a session every couple of months suits them. While still others may find a yearly session perfect for ensuring they are on track. It is totally up to the individual! 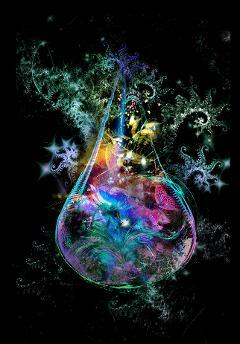 Beyond Quantum Healing (BQH) is a form of deep trance work inspired by Quantum Healing Hypnosis Therapy (QHHT). QHHT was created by Dolores Cannon as a means to guide people beyond everyday conscious awareness, to the deep inner realms. In this expansive state people were able to access information and healing that facilitated great shifts in their lives. 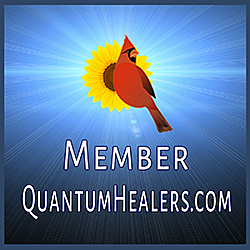 in 2018 Candace Craw Goldman, a QHHT practitioner for more than 10 years who worked closely with Delores Cannon, created Beyond Quantum Healing (BQH) an organic form of quantum healing. Beyond Quantum healing differs from Dolores' method in that it is a completely client driven process. The client is guided down to the deep inner realm and asked to describe the very first image or impression that appears before them. 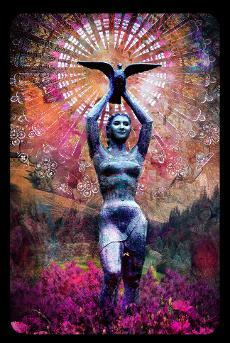 From there the magical healing journey, orchestrated by the client's deep wise self, unfolds. Because there is no road map as to where the client is led, the practitioner is required to rely on their intuition for guidance and most importantly, to trust the clients’ own process. The sessions I offer are based on my BHQ training. In these full sessions there is a beautiful sense of spaciousness that gives you the opportunity to open fully to your journey without concern for time. I only offer one full session per day. The session begins with a personal interview sitting that allows for deep sharing. This opportunity to impart background stories and significant experiences provides a backdrop for the session and enables our energies and hearts to align. You are only required to share what feels right and comfortable for you. We will then work together to create an overall intention for the session. This intention acts like a guidepost to ensure the session remains on track. When you fully resonate with your intention I use an OM tuning fork to activate the pineal gland and anchor it to the heart. We then perform a short, simple, yet powerful water alchemy ceremony together to amplify the intention and broadcast it out into the multi-dimensional universe. From there you move into the comfortable recliner and the deep journey begins. You will be given an amethyst crystal to hold, or keep within your energy field, throughout your journey. This crystal will hold the frequency of the deep state and can be used at a later date to connect with the session energy. You will also receive an audio recording of your session afterwards. This package includes the full expansive session as well as 3 follow up coaching sessions (can be done on phone) to help you to integrate the deep information gained through the session into your everyday life. We will work together to explore your session content, unpack symbolism, identify themes and key guidance, and implement strategies to apply them to your everyday life. These session are designed for those who have completed the full session. Because our connection has previously been established and much of the background information shared, the session can fit in a smaller time frame. This session allows the client to take a dip into their deep waters and get a taste of the deep wisdom they contain within. It is suitable for those who have completed the full session and just want to explore a specific issue.